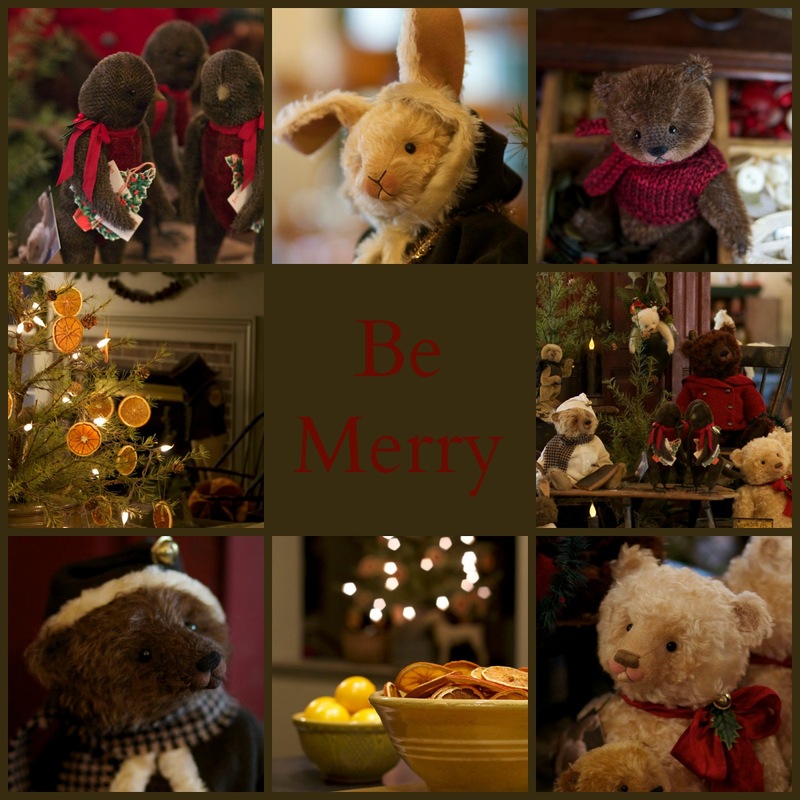 THE SPOTTED HARE: Be Merry ~ A Holiday Event! Be Merry ~ A Holiday Event! The days are beginning to hustle and bustle. holly and bits of tinsel cover every surface then spill onto the floor. debut next Tuesday ~ December 9th. Till then . . . Be Merry, Spread Merry & Make Merry! Who could not be Merry looking at your lovely photo. I'm sure all the bears and bunnies can't wait for the show. Reds, and greens, and bears...very Christmas-y! Can't wait!